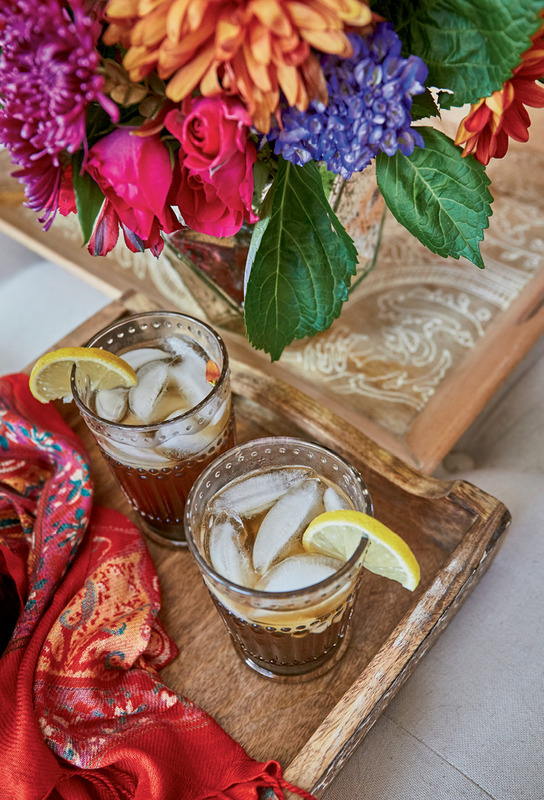 Make tamarind lemonade by mixing eight cups of warm water, two cups of lemon juice, two cups of sugar, and three tablespoons of tamarind concentrate. Stir until the sugar dissolves, then chill. 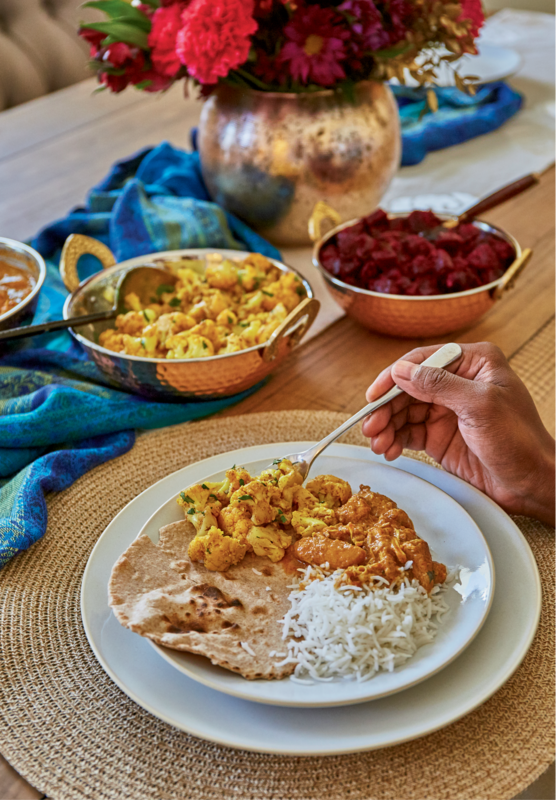 With a few pantry staples plus curry leaves sourced from West Ashley’s Indian Spice or North Charleston’s Bombay Bazar, cauliflower and beets transform easily into classic South Indian dishes. ‘Curry’ means a blend of spices,” Smith says. Her recipes rely on cinnamon, turmeric, cardamom, cumin, and mustard seeds, among others. 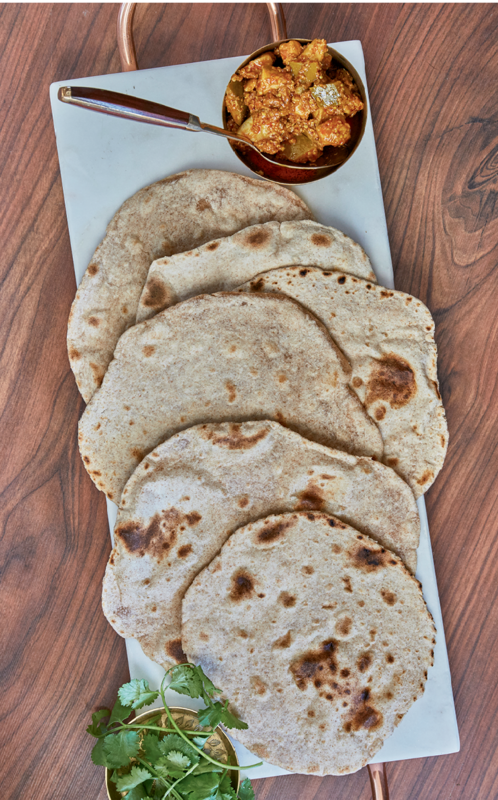 Chapati, a traditional Indian flat bread, is used to scoop up curry dishes at the dinner table. 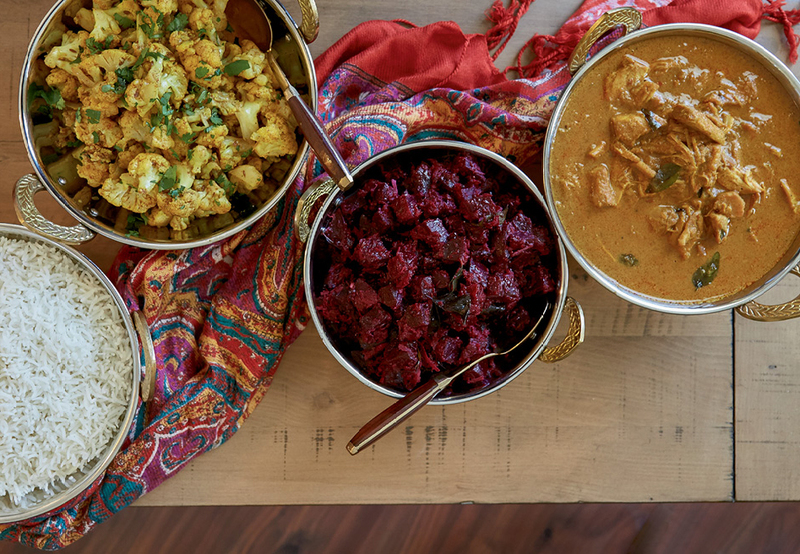 (From left to right) White rice forms a starchy base for spicy seasoned cauliflower, simmered beets, and hearty chicken curry. 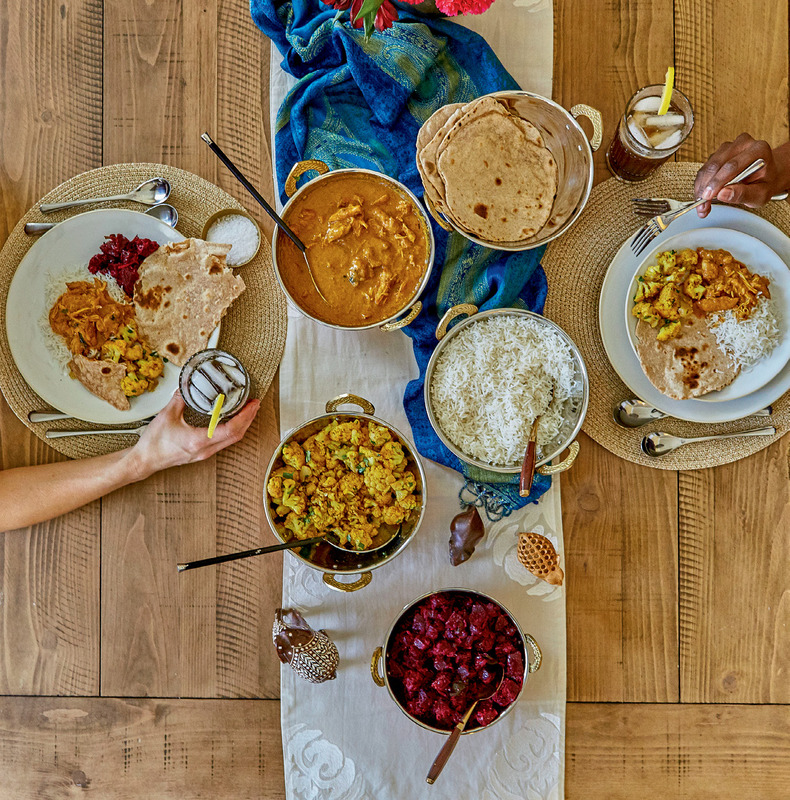 Allison Smith and Mark Remi cook a classic Indian spread. The baking whiz behind Glazed, the gourmet doughnut shop sweetening up King Street since 2011, has earned a reputation for creatively delicious baked goods. But doughnuts with berry-goat cheese filling, green-tea glaze, beet custard, and candied fennel aren’t the only goodies in the Culinary Institute of Charleston alum’s cannon. 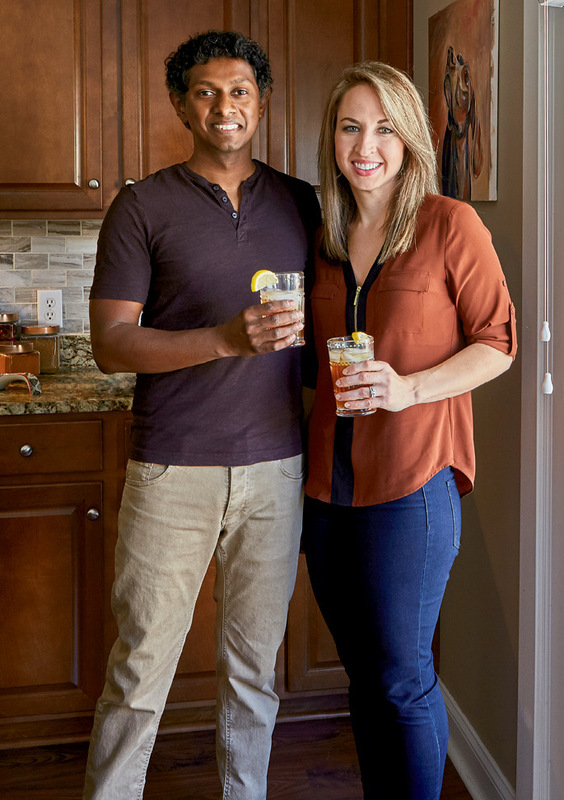 Allison Smith’s true passion skews toward international cuisines, specifically that of her husband Mark Remi’s South Indian family. “I cook at home a good bit, and it’s rarely a typical American meal,” she says. “Mark and I make a lot of Asian food, and Indian dishes are in regular rotation.” Smith’s personal menus became more public this past fall, when, sensing a hole in the local ethnic dining market, she opened Sambar, a South Indian food stall in Workshop. “When I visited India for the first time eight years ago, I fell in love with the culture and the cuisine,” recalls Smith. “There is a big difference between the foods of the southern part of the country and those of the northern region, which Americans are more familiar with.” Named for a traditional lentil stew, Sambar’s offerings are inspired by dishes eaten during Smith’s travels, pages torn from Indian cookbooks, and recipes passed down by Remi’s mother. And as with Glazed, the chef has found success with flavorful combinations, like lemonade made with concentrated tamarind, a legume that’s harvested more in India than anywhere else in the world. 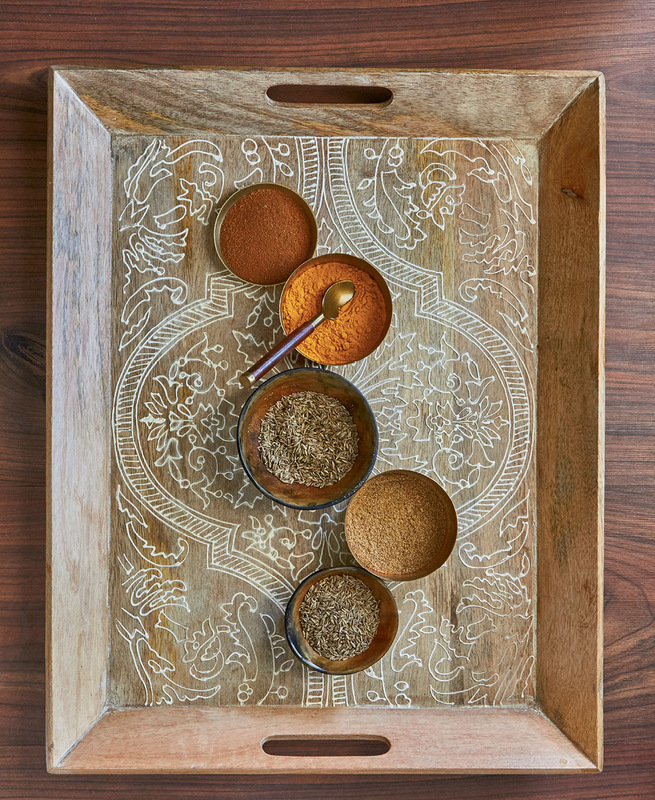 Though many of the recipes that Smith uses originated across the globe, the chef appreciates that she can recreate them easily with the dry spices in her kitchen. For Remi’s mother’s chicken curry, for instance, she blends cinnamon, crushed red pepper, cumin, and coriander into a kicked-up tomato sauce. The preparation also requires curry leaves (not the same as curry powder), but they can be found at Indian Spice in West Ashley as well as North Charleston’s Bombay Bazar.